Established in 1997 We have been providing eye care for over 16 years at these offices. Our well-trained staff is dedicated to make every visit a pleasant and stress-free experience. Our practice strives to be as convenient and efficient as possible to better serve our patients. We pride ourselves on giving thorough health examinations of the eyes and helping patients meet their vision needs. Our practice has invested in cutting edge technology developed to help detect eye diseases earlier and prevent blindness. 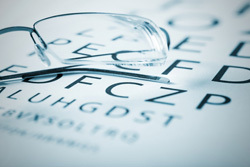 We provide comprehensive eye examinations, as well as specialize in contact lens fittings of both soft and rigid gas permeable, astigmatic, monovision, and multifocal lenses. All of our optometrist are licensed to prescribe medications to treat and manage ocular diseases. There is a doctor available seven days a week to provide emergency eye services.